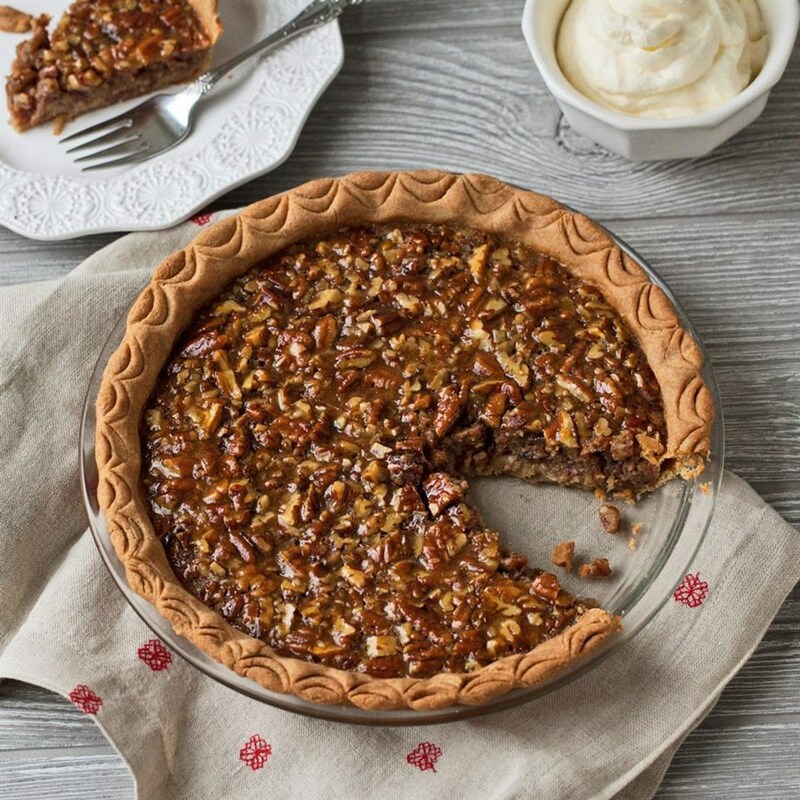 Get our best tips on how to make pecan pie healthier, while still completely delicious. 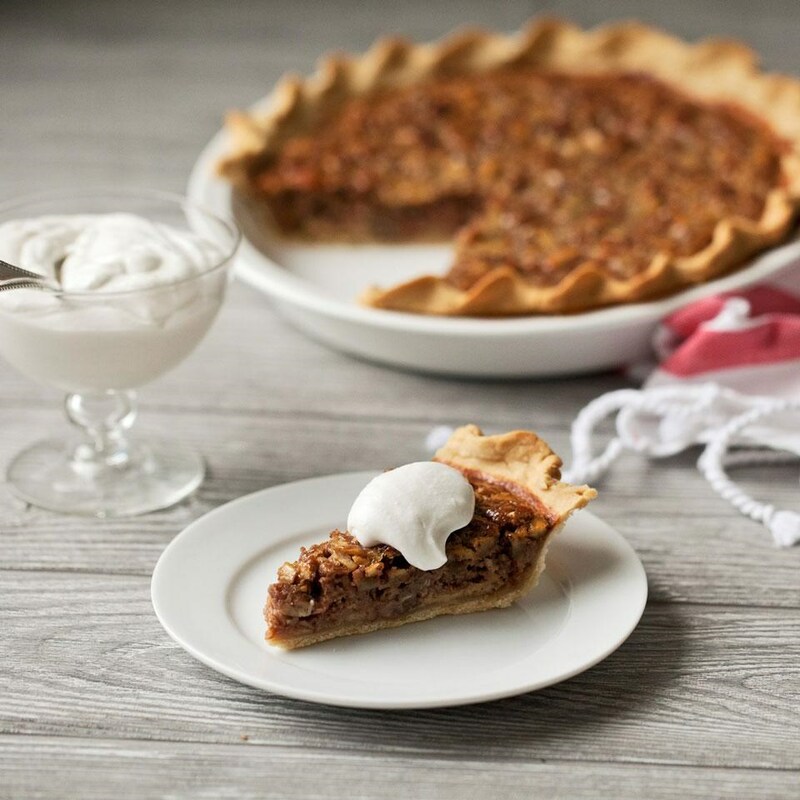 We'll tell you how to make pecan pie without corn syrup and with less sugar with mouthwatering results. Why would you throw out your old "perfect" pecan pie recipe this year in exchange for something new? Because most pecan pies have a plethora of added sugar, including corn syrup, piled in them for a pie so heavy it can leave you feeling ill. Luckily making a delicious pecan pie with half the sugar of tradition versions is possible. 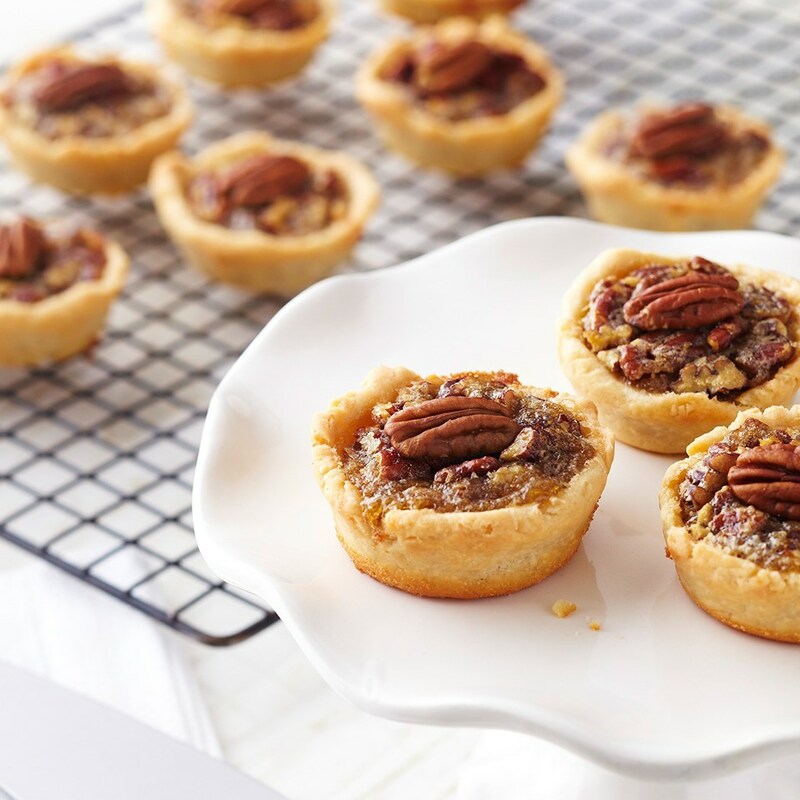 So whether you want a full pie, mini pie, gluten free pie, traditional crust or nut crust—these tips will help you enjoy the delicious taste of pecan pie with way less sugar and calories. Corn syrup doesn't have a lot of flavor. The only thing it has to offer is sweetness, which is pretty boring. But it's the cornerstone of traditional recipes. So to perk up the flavor, use maple syrup in place of the corn syrup. From a nutritional perspective, sugar is sugar, but from a flavor perspective, maple syrup is much tastier. The buttery flavor of the syrup plays up the nuttiness of the pecans. If you have a choice, opt for grade B or dark amber syrup. It has a richer flavor than lighter varieties. Plenty of pecan pie recipes call for an already prepared crust or if you're ambitious you make your own from scratch. Either is fine, but the crust can be a hidden source of calories and fat from loads of butter and/or shortening. 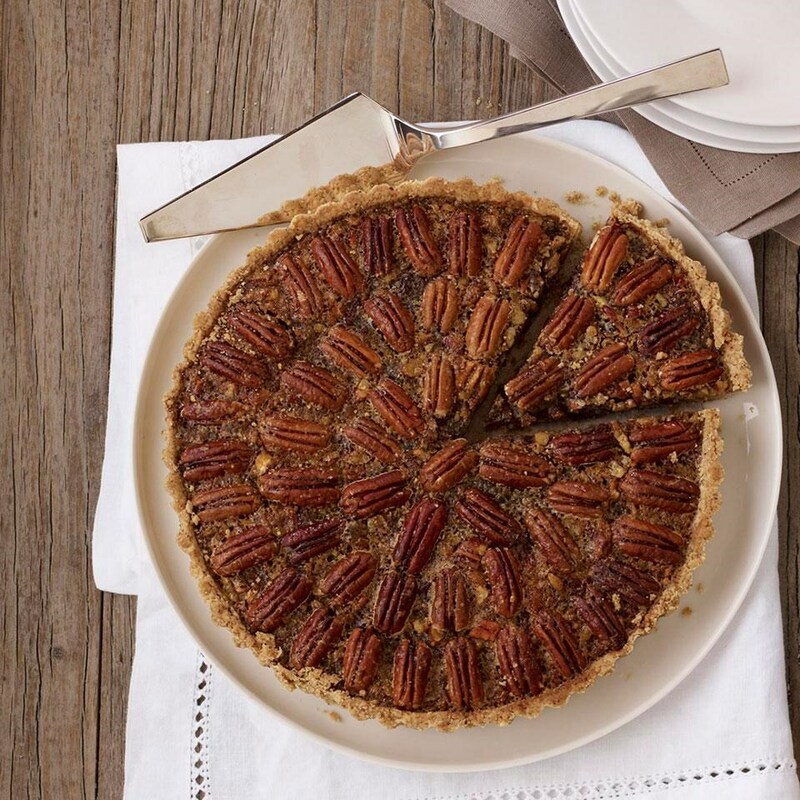 Try incorporating pecans in the crust to deliver a nuttier flavor that can't be matched by a store-bought crust. Plus, pecans have less saturated fat than butter: 1/4 cup of pecans has only 2 grams saturated fat vs. butter at 29 grams per ¼ cup! Pecans also contain more antioxidants—compounds that sweep up tissue-damaging free radicals—than any other tree nut, according to a study in the Journal of Agricultural and Food Chemistry. Pecans also provide notable amounts of zinc, a mineral most often found in animal-based foods. Pecan pie has a reputation for being sweet. That comes from the collective 2 cups or more of sweetener (corn syrup, sugar) that some traditional recipes call for! My teeth hurt just thinking about it. Instead, try cutting the sweeteners down to just 1 cup. You can use a combination of maple, brown sugar, corn syrup and/or pureed soaked dates (this helps to keep the added sugars even lower and adds fiber).